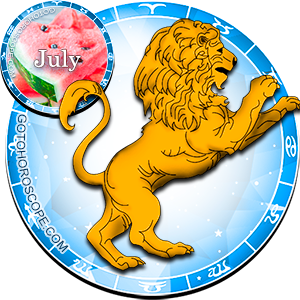 July 2016 Horoscope Leo, free Monthly Horoscope for July 2016 and Leo Astrology Forecast for the month ahead. 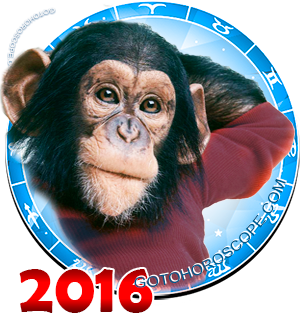 For Leos, July of 2016 is unlikely to be a fundamental stage. The dynamics of the current cycle will be sufficiently stable and maybe even a little reduced due to the fact that Pluto, the exaltation of the sign Leo, due to its planetary position will not be able to serve its function. As a result, this month you may face some problems related to the availability of the necessary amounts of energy. Fortunately, you will quickly come to realize it, which will reduce the risk of a potentially difficult situation appearing on your doorstep. 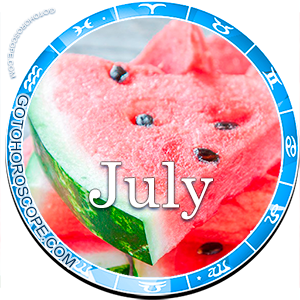 Due to the enhanced emanations of Uranus, which is usually responsible for the "expulsion" of the sign Leo, but this month will act as its patron, we can say that certain bonuses will be awaiting you in the working field. It is unlikely that we are talking about really significant benefits that can radically change the balance of power. Nevertheless, this is an essential point, which doesn't imply that you can easily shift the responsibility from your shoulders onto the stars or circumstances. Also, do not forget about solar positivity, which will accompany you this month. Thus, all in all, everything will go according to plan, with prosperity, harmony and peace being the features that will best characterize the coming stage. Regarding the world of work, July of 2016, as has been said before, will maintain positive trends for the zodiacal sign Leo. The main thing for you is to make sure that you can harmoniously "weave" your own ideas into these trends. Now it is important to work together with the world around you, to correct its flaws and imperfections, while at the same time allowing it to correct something in you. This is true not only about metaphysical thinking (though it counts too), but also about quite specific relationships in your workplace. Become a good team-player, summarize all the capabilities of your co-workers and show them towards a productive direction. Get rid of destructive elements once and for all; don't tolerate those who bring discord and instability to your life. And even if you are not a manager, try to do your best to bring all your colleagues together, unite them, though not around you. Individual thinking in this case doesn't make any sense. In fact, if you decide that you can deal with the challenges alone and everything is within the range of your abilities, you can easily find yourself in a rather tricky situation. Therefore, be careful and don't rush to make decisions, the result of which has a lot at stake. Take your time and think, be patient and wait. Time is on your side. The same applies to your "love life", which in July of 2016 doesn't experience any really important events. Therefore, starting from the very first days of the month you should tune into peace and tranquility. Do not let anyone upset your mood, even when it comes to your loved ones. Now it is important to just sit down and reflect. Reflect on everything in general and, in particular, on your personal feelings. If you are single, then it's unlikely that the situation will change in the near future; however, you need to spend this time wisely, to reevaluate your life, your behavior and your priorities. Supposing you have a sweetheart, who regularly "bites" you, then try to ensure that her emotional and energetic state is in harmony with yours. How exactly you can do it is a rather individual issue. It is crucial that you succeed in this direction by the middle of the second decade; otherwise, it will be too late. It'll be logical to spend the rest of the time on the joint identification of relevant problems and finding solutions that would satisfy both of you.